Situated in Cramlington, this bed & breakfast is 1.8 mi (2.9 km) from Northumberlandia and within 6 mi (10 km) of Newcastle Racecourse and Blyth Battery. 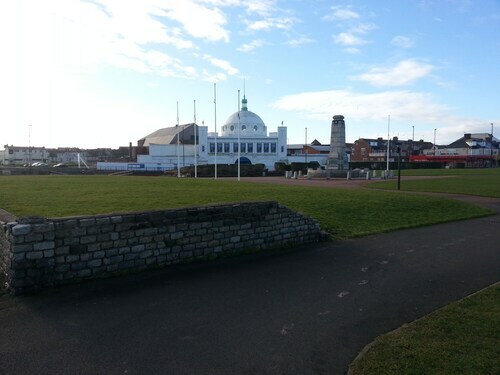 Ridley Park and Phoenix Theatre Blyth are also within 6 mi (10 km). Cramlington Station is 13 minutes by foot. 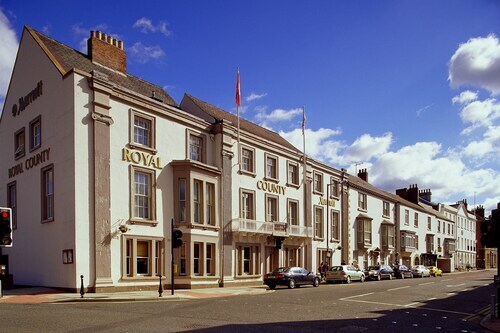 Situated in Newcastle-upon-Tyne, this hotel is steps from Chinatown and St. James' Park. Eldon Square Shopping Centre and Castle Keep are also within 10 minutes. Newcastle Central Station is 8 minutes by foot and Manors Station is 13 minutes. How Much is a Hotel Room in Cramlington? Hotels in Cramlington start at $49 per night. Prices and availability subject to change. Additional terms may apply. Visitors to Northumberland who are after a room close to Cramlington have a wonderful range of choices. Travelers can book no less than 15 excellent accommodations within a 6 miles (10 kilometers) drive of Cramlington. 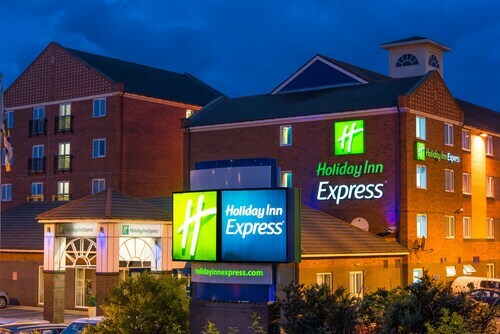 The Holiday Inn Newcastle - Gosforth Park is the closest Travelocity-listed room to the downtown area of Cramlington and it's only a quick drive away. 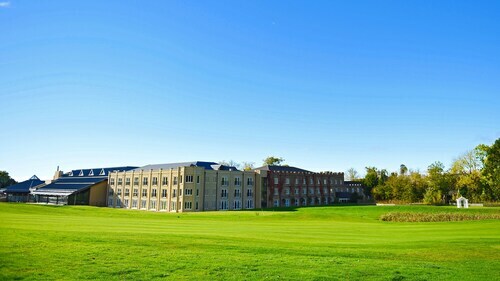 You could check out the Seaham Hall along with the Close House. The Seaham Hall is located just 19 miles (30 kilometers) away from the city center of Cramlington. The Close House, can be found 11 miles (17 kilometers) away. Another option is to book the Jesmond Dene House or the Heroes Hotel - Hostel. 16 miles (25 kilometers) away from Cramlington, you will reach Stocksfield, which is where you can enjoy Cherryburn and Stocksfield Golf Club. Next time you visit Stocksfield, be sure to check out the Duke of Wellington - Inn and The Anchor Inn. Alternatively, you could consider staying at Morpeth, 16 miles (26 kilometers) northwest of Cramlington, where you can choose between the The Granby Inn and The Village Inn. Should you choose to stay in Morpeth, make sure you visit the Cragside and Brinkburn Priory. If you can't stop thinking about sport and enjoy watching local matches be sure to get yourself to St. James' Park, found 7 miles (12 kilometers) to the south of Cramlington. 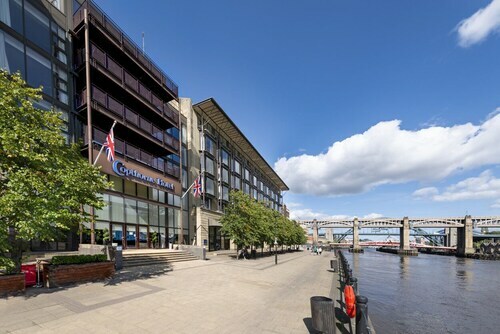 Book a Travelocity-listed hotel not far from the sporting action at the Kensington House Aparthotel or the Hilton Newcastle Gateshead. Planning on flying to Cramlington? Your best bet is Newcastle International Airport, situated 6 miles (9 kilometers) away from Cramlington's town center. Book a room close by at the Novotel Newcastle Airport. 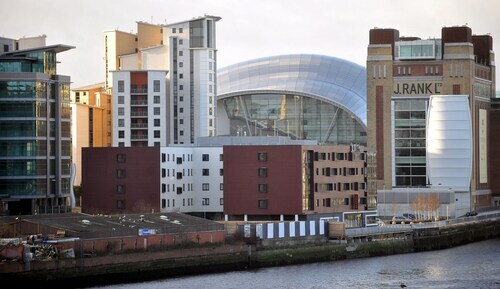 Excellent location, brilliant views across the Tyne through the floor to ceiling windows. Very handy for the Quayside, only 5 minutes walk. Centrally located to Newcastle and Gateshead. Waking distance to the Sage and Metro Arena. Thanks for making our first visit to the UK Hope to visit again! Beautiful old hotel with amenities such as reliable wi-fi and a good breakfast. The bed was beautiful and the room was clean. The bathroom could use an upgrade: the shower seemed to run either scalding hot or icy cold but nothing between. I was excited to stay at a castle until I saw our room. The rooms are in the stable courtyard. They are dark with poor lighting and only one small window. The decor is heavy brocade and heavy curtains. The restaurant and halls are dark also. Breakfast was good. Dinner was just okay. I have to say that I expected more. Staff was average. Overall, I would try to find a brighter location with a more upbeat atmosphere.